The international weekends which punctuate the first half of the season are both frustrating and relaxing in equal measure. With Motherwell finding form we had no wish to stop but time to draw breathe after our inconsistent start is no bad thing. Sadly, Scotland have been mostly dull under Alex McLeish with Monday’s performance an exception but it is hard to get worked up about him as manager. At Fir Park he is remembered for dismantling one of the best teams most fans have seen. After years of building, Tommy McLean's 1993/94 vintage side produced dazzling football and international caps a plenty. They even ran Rangers close in the title race. McLeish will argue the natural cycle meant a downturn was inevitable but the names Eddie May, Shaun McSkimming, Andy Roddie, John Hendry and Stephen Woods are not easily forgotten. 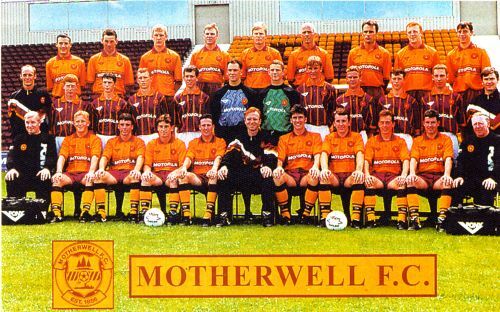 McLeish's managerial career has obviously not been a complete failure since departing Motherwell but few of us will expect much from his latest reign at Hampden. The win over Albania demonstrated that a team with enthusiasm and urgency can succeed. More please. Steven Naismith led the line well and eventually got his reward for persistence but those of a claret and amber persuasion will be hoping that the sitter he missed in the first half will be the form he displays on Saturday at Fir Park.